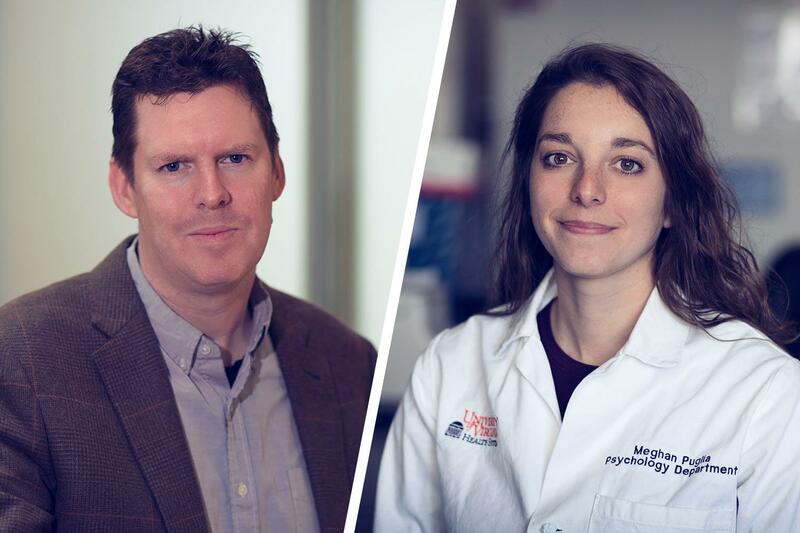 The Office of the Vice President for Research in collaboration with the UVA Brain Institute awarded the third round of presidential neuroscience graduate fellowships in June 2018. The fellowship aims to promote cross-grounds collaborative neuroscience research by bringing together neuroscience mentors from different divisions (i.e. CAS, SOM, and SEAS) to tackle important questions and perform transformative work that will differentiate our research enterprise. Projects can be related to any subject in neuroscience and demonstrate evidence that a 3rd or 4th year graduate student will be jointly mentored in a collaborative, multidisciplinary environment on a synergistic project. The creation of new partnerships is encouraged. The fellowship covers the student's stipend, tuition, insurance and fees for the next academic year with eligibility for a 1 year renewal. Amy Van Deusen - Neuroscience | Mentors: Eli Zunder, PhD - Biomedical Engineering, Christopher Deppmann, PhD - Biology. Sebastian Giudice - UVA Center for Applied Biomechanics | Mentors: Matthew Panzer, PhD - Mechanical and Aerospace Engineering, Jason Druzgal, MD, PhD - Radiology. Sebastian is a PhD student at the UVA Center for Applied Biomechanics. Over the last several years, Sebastian’s research has focused on understanding the biomechanics of the brain – how the brain deforms during head impact and how stress and strain relate to traumatic brain injury (TBI). Currently, Sebastian is developing novel techniques to develop subject-specific brain Finite Element models by leveraging MRI image registration techniques that are widely used in MRI image processing pipelines. This work will enable research to investigate how region-specific brain anatomy relates to injury risk across wide populations. More importantly, these techniques will bridge the gap between research being done by engineers and clinicians to establish a direct process to integrate brain biomechanics and functional outcomes in patients with TBI. In his free time, Sebastian loves cooking, playing and watching sports, and playing the guitar. Meng Zhuang - Chemistry | Mentors: Cassandra Fraser, PhD - Chemistry, Biomedical Engineering, Jaideep Kapur, MD, PhD - Neurology. Meng is a rising 4th year in the Chemistry Department. Her current project is to develop and adapt novel oxygen sensing boron nanoparticles (BNPs) as functional probes of brain oxygen activity during seizures. She hypothesizes that oxygen levels measured using BNPs will correlate with cortical activity under normoxic and hypoxic conditions in mice brain during seizures. The use of BNP/camera imaging will allow for the construction of high-resolution maps of oxygen levels in the brain under physiologic and pathologic conditions. Sarah Coe-Odess - Psychology | Mentors: Jessica Connelly, PhD - Psychology, Rebecca Scharf, MD, MPH - Pediatrics. Sarah is a Clinical Psychology PhD student in the Kids, Lives, Families, and Friends (KLIFF) Lab in the department of Psychology. Her project combines clinical psychology, longitudinal designs, interpersonal relationships, and epigenetics to identify and describe qualities of adolescents and factors of their social environments that promote development into healthy adults. Particularly, it examines the possibility that methylation of the oxytocin receptor gene (OXTRm) is a biological mechanism that moderates the relationship between aversive environments during childhood and adolescence and longitudinal changes in depression during adulthood. To do this, this project uses uniquely rich longitudinal data from a community sample of 118 individuals across ages 13-28 and has the potential to suggest an epigenetically-based diathesis-stress model. Sushanth Kumar - Neuroscience | Mentors: Christopher Deppmann, PhD - Biology, John Lukens, PhD - Neuroscience. Sushanth is a 4th year graduate student in Chris Deppmann's lab studying cell death and inflammation in Alzheimer's disease. He graduated from the University of Arkansas with a BS in biochemistry and BS in biomedical engineering. Sushanth aims to understand how two distinct cell death pathways: extrinsic apoptosis and necroptosis, contribute to neuronal death and inflammation in Alzheimer's disease (AD). To do this, his lab has generated compound mutants between J20 AD mice and caspase-8 (executor of extrinsic apoptosis) null and/or RIPK3 (executor of necroptosis) null mice and are studying changes in amyloid load, microglial reactivity, astrocyte reactivity, neuron death, and behavior. The hope would be that by removing one or both of these proteins (caspase-8 and/or RIPK3) in mice that have AD that they can rescue some of the observed deficits. Qi Zhang - Biology | Mentors: Ali Guler, PhD - Biology, Michael Scott, PhD - Pharmacology. Qi is a rising fourth year graduate student working in Ali Guler's lab. Qi's specific interest lies in the role of hypothalamic dopamine pathways in the regulation of feeding behavior and metabolic processes. Dopamine is a key neurotransmitter in detection of salient events, and is released by rewarding sensory cues such as food rich in sugar and fat. Her previous finding suggests that Dopamine receptor D1 (Drd1)-dependent DA signaling in the hypothalamus is a key player in feeding behaviors and development of obesity. Surprisingly, she has discovered a previously unidentified role for Drd1 signaling in the arcuate nucleus of the hypothalamus during consummatory behaviors. Further understanding of this neuronal group will provide us a better view of energy homeostasis and provide novel targets for treating obesity related diseases.